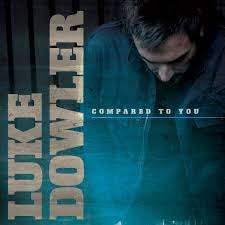 At first listen, Luke Dowler’s Compared to You CD may appear to be another praise and worship album. But with a deep listen to the music and lyrics, it is a stunning, Scripture packed album, full of honesty and heart-felt worship to our King. Luke Dowler definitely puts his heart into his music, making Compared to You an album that only gets better with each listen! After a beautiful, one-minute intro, the nice contemporary title track opens Compared to You. Immediately noticeable are Luke’s enjoyable deep vocals that sound very similar to Trey from Echoing Angels’. Building strongly as it goes along, we are reminded that though our righteousness maybe as filthy rags to Jesus, He washed us and made us white as snow. Equally as upbeat, “Hope of the Nations” speaks of our God of salvation and hope. “Psalm 130” speaks of putting your hope in Jesus, while “Better Than” features stunning vocals in addition to being a strong cry for more of Jesus; it is a heart-felt desire to know Him more. The acoustic guitar-picking track “Never Changes” follows, speaking of the unconditional love of God – how it never changes no matter what we may do. “Middle of July,” another acoustic track, is very harmonic, speaking of going through a season of desperation but knowing that God is with us nevertheless, and praising Jesus no matter what we may go through. Hands down, this is the best track from Luke Dowler’s Compared to You album. “Show Yourself” follows as a strong track of surrender, while “Worth it All” is glorious, is strong and very passionate, asking God to set us on fire till all that can be seen in us is a reflection of Christ. Closing the album are “Least of Perfect” and “Worldwide,” both very serene and worshipful. “Least of Perfect,” an excellent song of thanks, speaks of being imperfect, but how God accepts us the just the way we are, and now we live to praise Him. “Worldwide” closes up the album, actually a little more upbeat with strong drums, and is a wonderful anthem of praise to God. The passion in Luke Dowler’s music is unbelievable! Besides containing amazing, sincere worship, hearing his heart in every song is inspiring to worship along and experience the presence of God. If you’re a fan of Aaron Shust, Hillsong, or Echoing Angels, you will definitely want to check this awesome contemporary worship out! Find out more about Luke Dowler at his website, here!